Home :: Accessories :: Seadek Non Slip :: SeaDek Non Slip Boat Traction Pad. 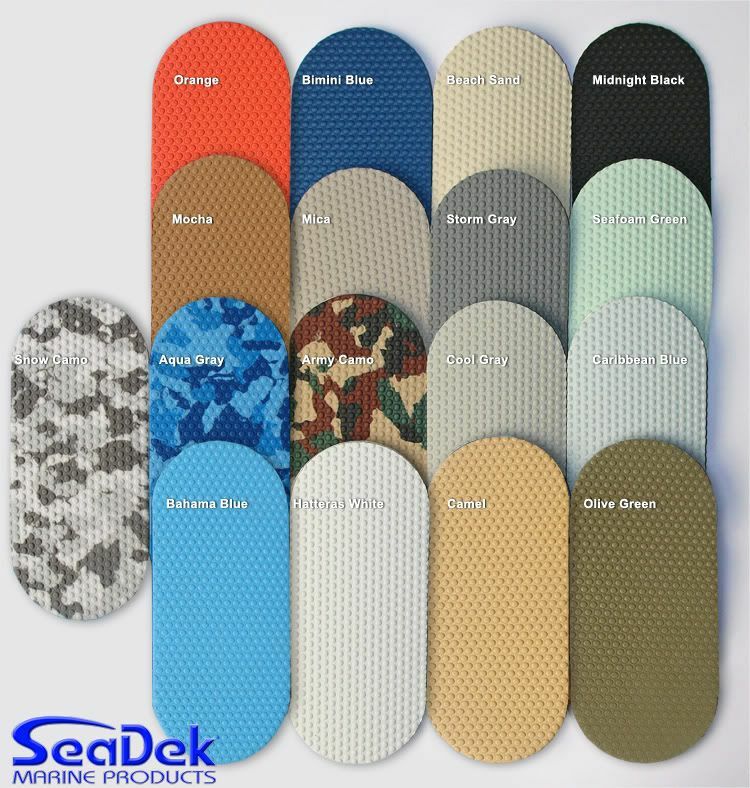 SeaDek Traction Pads. Great for steps, covering holes, gunwale traction. 14cm x 6cm x 5mm thick SeaDek cut pad. Made of soft yet durable EVA foam that can be applied with our simple peel-and-stick backing. SeaDek is made in the USA by Hyperform Inc., who has over 25 years of experience as one of the leading manufacturers of safe, effective and trusted marine products. Purchaser receives 2pcs of Hatteras white. Notify me of updates to SeaDek Non Slip Boat Traction Pad.